Please call the office to reschedule a lesson BEFORE lesson begins in order to avoid a $35.00 fee. Ahead of the Curb Driving Academy may use images and/or photographs of students in advertisements and/or webpages unless the parent or guardian submits written notice prohibiting such use. A student or prospective student may be dismissed or barred from the school for tardiness; drunkenness or obvious signs of drug use; rude, vulgar or disruptive behavior; smoking or using tobacco products; using a cell phone during class or in the car; or being otherwise inattentive (sleeping, texting, reading, etc.). Students terminated for violating rules of conduct may be readmitted at the discretion of the school director. Enrolling in this driving course is a commitment by the students, parents, and instructors. Attendance is mandatory for both the classroom and driving portion of the course. The instructor should be notified prior to the student missing a classroom or driving session. Missed driving sessions must be rescheduled and missed class sessions must be made up in the following month’s class (if you miss class session 3, you make up session 3 in the next month’s class). Mastery is a prerequisite to awarding a grade of 80% or above. An on-line grade book is available to help students and parents track grades. Evidence of mastery shall be determined by one or more of the following methods: 1) unit tests; 2) written assignments; 3) skills performance checklist; and 4) comprehensive examinations of knowledge and skills. Appropriate footwear must be worn when driving. Loose sandals, “flip flops,” or high platform shoes may not be worn while driving because they could interfere with using the brake and/or accelerator pedals. I hereby give consent for my son/daughter to be enrolled in the Ahead of the Curb Driving Academy LLC driver education course. I am aware that the traditional package includes thirty (30) hours of classroom instruction and six (6) hours of in-car instruction, the online package includes thirty (30) hours of online instruction and six (6) hours of driving, and the driving only option if for driving instruction only. A nonrefundable deposit of $100 is required at the time of registration, and this deposit is applied to the total course fee. The balance of the class fee is due by the end of the classroom portion of the course. An owner, officer, instructor, agent, or employee of Ahead of the Curb Driving Academy LLC shall not state nor give the impression to a student that upon completion of the course, they will guarantee the securing of a driver's license to operate a motor vehicle. 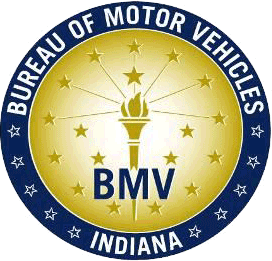 Bluffton-Harrison MSD is released from any and all liabilities related to driver's education.